Pfizer Goes Direct With Online Viagra Sales To Men : Shots - Health News Men still need a prescription for the diamond-shaped blue pills. But instead of going to the pharmacy in person, or taking their chances buying from an online pharmacy of unknown repute, men will be able to buy Viagra from the maker of the drug itself and have it shipped to their homes. If you're interested in buying Viagra, Pfizer, the drug's maker, will now sell it to you from its official website. 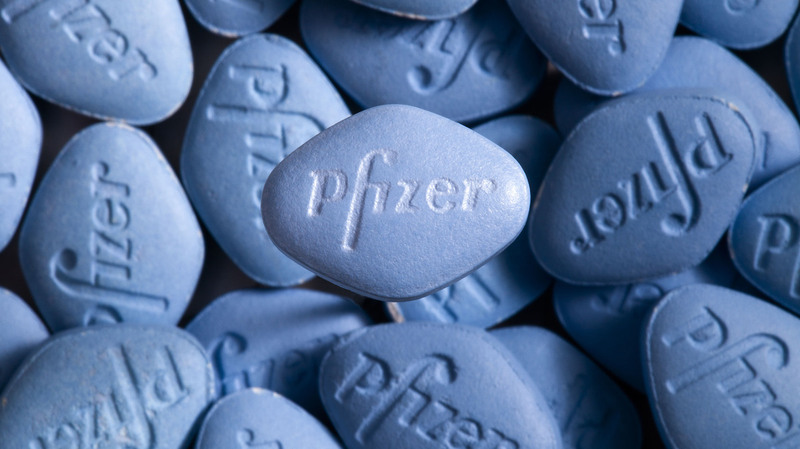 The ubiquitous blue-toned TV ads for Viagra look downright tame compared with Pfizer's latest gambit for the impotence remedy. To be clear, Pfizer isn't getting into the pharmacy business. The CVS drugstore chain will take care of processing and fulfillment. Still, the direct form of selling from a Pfizer website is quite a departure from the typical way that prescription drugmakers go about their business. Pfizer says this company-sponsored approach offers two advantages. Men who are embarrassed about going into a pharmacy to fill a Viagra prescription won't have to. The official website will also give online shoppers confidence that the Viagra they're getting is legitimate. 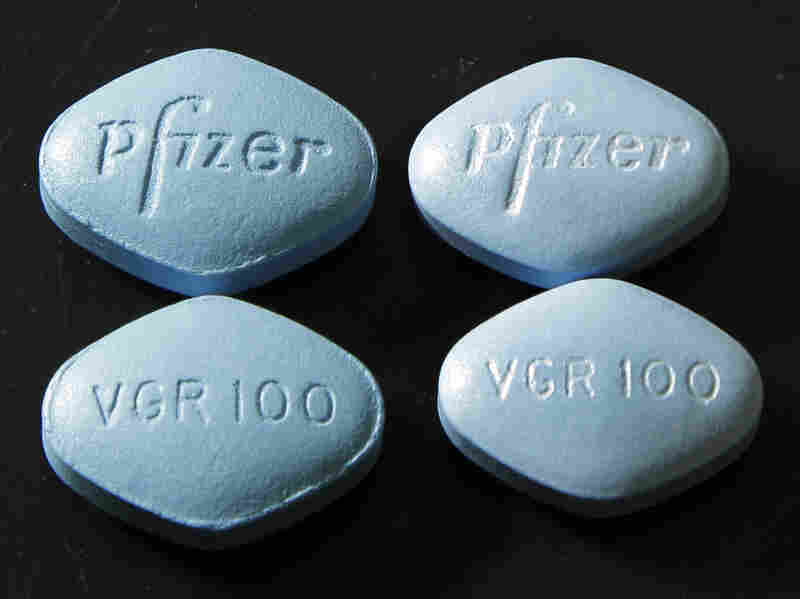 Viagra is a frequent target of counterfeiters. And a slew of online pharmacies tout cut-price Viagra. But people who buy drugs online are "playing Russian roulette," Matthew Bassiur, a Pfizer security specialist told The Associated Press. Still, the hefty price of Viagra won't change. The medicine runs about $25 a pill. And many insurers don't cover it. Add in the embarrassment factor, and you start to understand why many men have preferred to buy Viagra online, even before there was a manufacturer-authorized way of doing so. But will it work? That depends on each man's motivation. "Is this about embarrassment or price?" asks Richard Evans, a longtime drug industry analyst now at SSR Health, an independent investment research boutique. "The reality is, it's probably about both. I think it's more about price." If that's true, the response to Pfizer's offer may be muted. "You're always going to get a better offer from someone other than Pfizer," Evans tells Shots. "The question is whether it's legitimate or not." That's not on the horizon for Viagra. Pfizer expects that U.S. patents will protect the brand-name drug from generic competition until 2020.